Get a VHS tape box without internal bumps. These can be found online or at thrift stores. Download and print the slipcase cover and rules. You will need a coin with heads and tails for the active player token. 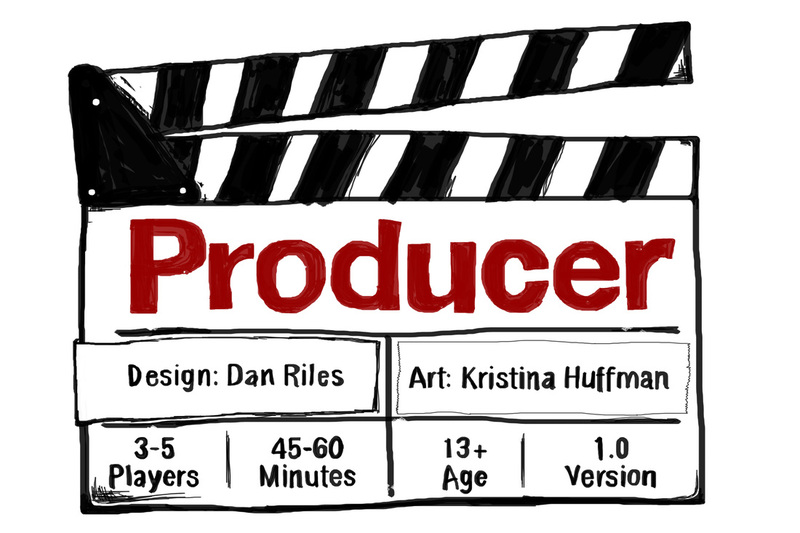 A Movie-making, story-telling card game for 3-5 players. Hire a director and some actors. Mash a plot and some characters together. Trade with other producers or hire from the auditioning room. Build your movie and do a little sabotage to your opponents' productions as well, but don't wait too long to wrap your own. In the end, it's all about the story your movie tells and the ticket sales you rake in. Producer was successfully funded on Kickstarter. Producer was selected for the Tabletop Games Showcase at the Boston Festival of Independent Games 2014!